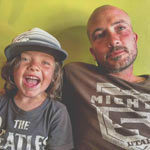 A deck lounging just above Laneda Avenue in the absolute heart of Manzanita is as stuffed as a thick burrito with tourists manhandling two big for your hands burritos and passing around a gaggle of different types of hot sauce, from the familiar to the exotic to locals blends. A teenage kid with red hair and a look in his eye like he’s ready to get out of this small surfing town he grew up in and hit the city, if only he can save up enough in tips from working behind the front desk at the best burrito shop on the coast, takes our order by having us walk through a process of choosing your fillings, your toppings, what type of wrap you want from a variety of flavors of tortilla shells, maybe through a few extras on their or something for the side, all as he uses a black dry erase marker to circle various abbreviations the cooks use to put together your own personal Mexican masterpiece. Local beers and, of course, Dos Equis, wait around for thirsty mouths to pair them with burritos, enchiladas and taco salads. The menu is simple, but everything is customizable and a couple can split the wet burrito and still feel like maybe their eyes were bigger than their mouths. 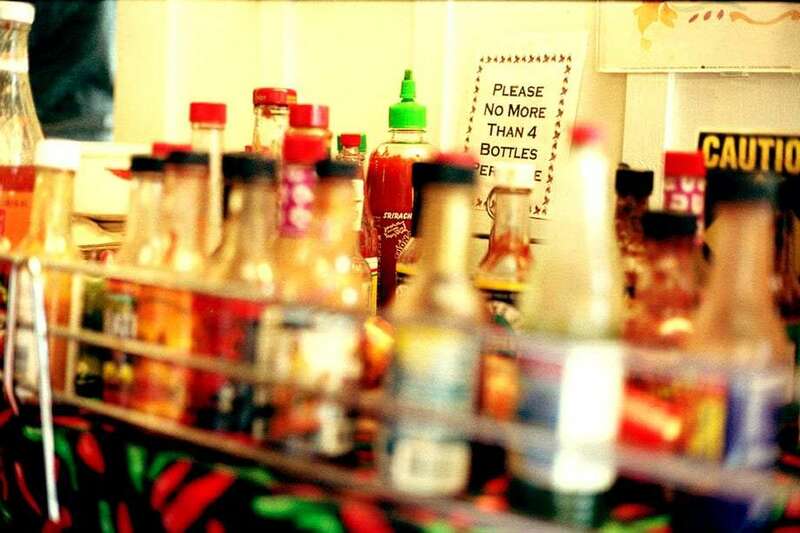 A table next to an office style water cooler is the stage for fifty or so of the aforementioned varieties of hot sauces, which the owners’ claim is the largest “open collection” of hot sauces on the West Coast, fifth in the nation. Some will tear a hole in your stomach if you’re too generous with their dispersal, others lean more toward beefier flavor to pack their own particular punch. A few aren’t exactly family friendly in their labeling. A photograph of Left Coast Siesta from a few years back, completely covered in snow—a rarity for coastal towns like this—hangs over a fire place alongside a chili pepper clock, underneath a stained glass cacti lampshade. The owner is sure to say thanks and goodbye on our way out, and we’ll no doubt have packed on at least a pound or two from too many visits to our new favorite burrito shop before we leave this stretch of the Pacific.